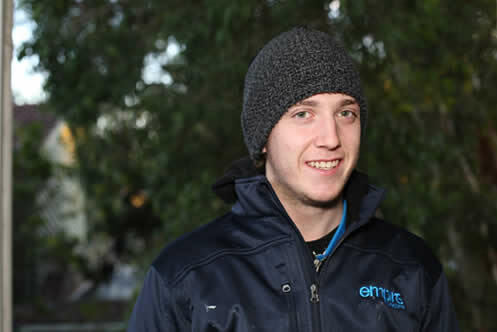 Keegan is 21 and working as a plumber and labourer. Keegan dropped out of Civil Engineering at university to do the greatest thing on earth, renovate bathrooms. His favourite part of the job is “the easy-going atmosphere and being able to see the transformation we bring to people’s homes”. We really think his favourite part of the job is talking absolute nonsense with workmates on a day-to-day basis. Keegan’s attitude and light-hearted witticisms are what makes him a cherished Empire team member.